There are many different faiths of the past being expressed through tradition and culture and sometimes law. The cumulative traditions attempt to ignite present faith, but it’s not working. In our society we allow human experience, human merit and human tradition to define our faith instead of allowing the word of God to do such. 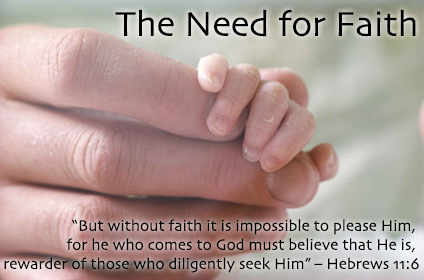 Faith should be deeper and more personal than mere religion. It then allows for a person or group to respond to the value and power of God as perceived and grasped through the forms of cumulative tradition. These forms serve only as an extension of what we truly believe in our hearts. The stronger the inner faith, the more visible the belief. This is similar to the faith of the past being used to increase the faith in the present. Typical bible classes use this format to increase the faith of members by teaching the things from the past. The apostle Paul wrote in his epistle to the Romans that the things which were written aforetime were written for our learning and that in the understanding of these things we would have hope. 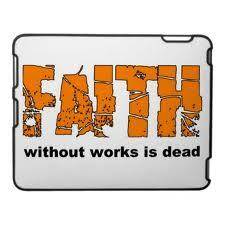 However, we can’t afford to allow faith to be lessened to simple belief. Faith needs to be allowed to breathe and produce a product that relies on the transcendent and fosters trust in another — this defines a resurgence of faith. Many churches stop evolving and reach a point where tradition supersedes God’s word. In many places the members don’t even know the difference. Bible classes are not well attended and teachers and leaders, instead of studying and creating their own lessons for their flock, purchase generic material that does not address the issues of today. Faith has to step out from the exclusive assignment of religious belief to an action that allows us to trust and build hope. I believe the only way to really accomplish this is by taking the members out of the traditional bible classes and take the teaching to their world. Classes need to be inclusive and outside of the traditional setting. A resurgence of in-home bible studies designed to put faith in motion. This goes beyond small groups which were designed primarily for fellowship. In-home bible studies would be equivalent to “labs” that a college student would have if he was taking biology or chemistry. The only true task of the Lord’s church today is to make the Gospel of Jesus Christ relevant in the 21st Century. If we want to be truly transformed by the renewing of our minds, it has to be through our understanding of God’s word. We must study to show ourselves approved of God. If not, we will kill our faith. How true! I believe that Jesus is God’s Son and sent here to over come the The World so ALL our sins may be forgiven! I believe that with all my heart, body and soul! I don’t attend Bible Study and don’t read as often as I should but every time I do I ask the Lord to forgive me for not reading as much as I should! Good sister! Think about reading your bible as food for your soul.